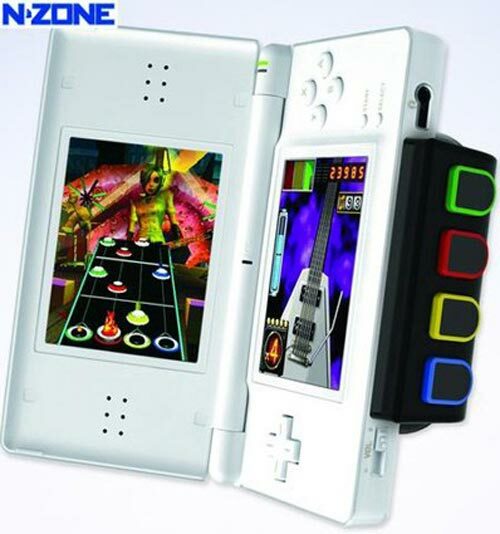 Check out the Guitar Grip for your Nintendo DS. 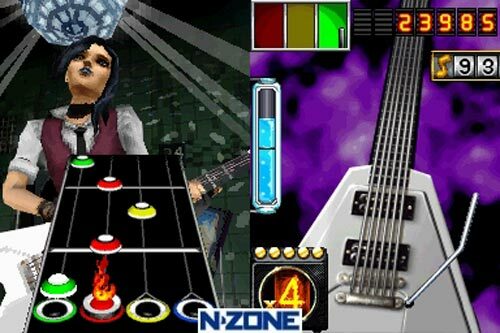 The Guitar Grip has four buttons an is designed to be used with the ‘Guitar Hero on Tour’ which will be released on the Nintendo DS this Summer. The game is played with one hand on the Guitar Grip and you hold your DS sideways and the strumming is done with a pick on the touchscreen. Head on over to Guitar Hero on Tour for more details.